You shall remain solely liable for any and all material you submit to this Website and/or the Hosted Service. In submitting any material to this Website, and/or the Hosted Service, you hereby agree to indemnify, and keep indemnified, The U.S. Will Registry affiliates, officers, directors, and employees from and against any & all claims, costs, liability, damage, other expenses or loss we may incur (including without limitation legal fees) as a result of any material you submit or any violation by you of your obligations under these Terms of Service. The U.S. Will Registry does not hold any Last Will & Testament documents. Our online Services only involve The U.S. Will Registry passing on your information retrieval requests to the extent permitted by law. 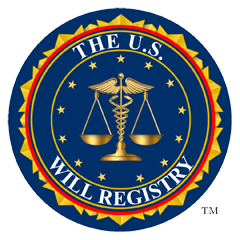 The U.S. Will Registry will not be liable for: any failure or delay in finding a Will (or related documents); the failure to update your registration to keep your data current and accurate, any loss of a Will (or related documents), and/or any failure of the party registered to possess the will or store the Will (or related documents) appropriately, or your delivery of a Will (or related documents) to an inaccurate address. Should you at any time wish to remove any information held about you by us, please contact us at CustomerService@WillsUS.com and we will remove your information within 10 days of such request. Requests for members' files must be made in writing. Anyone requesting information on a member other than him/herself must provide a certificate of death and photo ID, in order to access the member's file. Persons may also be required to provide one or more forms of identification. The U.S. Will Registry does not guarantee that it will or should be the sole location for storing your data. You should always keep copies of all of your documents for your own records. By voluntarily providing the information to us, you hereby authorize us to use and retain the information provided by you to us. You also hereby agree to allow us to release the information provided by you once proof of death has been provided to The U.S. Will Registry. Once verified, The U.S. Will Registry will release your registered information. If you have an attorney who is listed on your registration, the attorney's contact information will be provided to the family member. 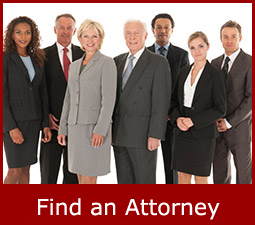 If there is no attorney listed in the registration, then the searcher will need to provide the name of an attorney prior to releasing the information. Because the process of receiving documents solely relies upon third parties either registering Documents, receiving documents or responding to requests for information in relation to Documents that they hold, The U.S. Will Registry does not make any guarantees that our Search Service will result in the location of a Document held by a third party. Should a Document be discovered subsequent to a Search Request which does not produce the Document stated in the registration, The U.S. Will Registry cannot be held liable. You hereby acknowledge that in no way is The U.S. Will Registry able to know, control, or determine how the Enquirer will use the information about your WILL Location or other information. In order to avoid mishandling of information, it is mandatory that your registered information is provided to an attorney prior to releasing any information. The U.S. Will Registry is not liable for any damages as the result of a person who makes a request for your information and wrongfully uses the information. Although wills are often intensely personal by design, they become public record at some point after the testator -- the person the will belongs to -- dies. Before that time, they are not legal documents and are the private property of the testator. With a few exceptions, wills are usually required to be filed with the court for the probate process. Once the court has possession, wills begin channeling through the probate process, are eventually filed and become available for public access. The U.S. Will Registry's principal place of business is in Broward County, Florida. All members agree that any claim arising out of transactions and or third party claims will take place in an appropriate court in Broward County, Florida. Members agree to indemnify and hold harmless The U.S. Will Registry from any claims by family members of the member, and or attorneys. • Warranties, terms of service, privacy claims, conditions, guarantees, and other terms which may otherwise be implied by statute and/or common law. • Loss of data, including but not limited too: data filled out in anticipation of a registration, data uploaded through our website, data sent to us in attempts to contact us for help and/or questions, data sent into us for any other purpose. • If The U.S. Will Registry at any time dissolves or ceases to operate for any period of time, the Company does not warrant or guarantee that existing member's benefits will be able to be enforced. • The Company is not liable for any damages caused to any member as the result of using and/or visiting the Company's website whether in tort, negligence, breach of contract, or any other damages, even those which are foreseeable. All print, names, forms, and logos contained on The U.S. Will Registry's website are protected by U.S. copyright and trademark laws. The U.S. Will Registry has been developing its business methods in privacy and continues to protect its trade secrets by purposely maintaining a database of all The U.S. Will Registry's drafts and/or designs for the purpose of furthering The U.S. Will Registry's business. The U.S. Will Registry has taken great caution in only allowing a small number of persons to have the knowledge of how the company works, operates, builds, and plans to expand its business. Any use of any materials within The U.S. Will Registry's website is prohibited and permission to use these materials must specifically be granted in writing.